The building is built on the essence of interaction and unison: the solid north volume contains the core of the residential units that flows towards the transparent south volume, a natural light-filled space where living, social and the more public activities are located. Residential Tower and the architectural grid help to bring all the elements of the building into a rational organization promoting their interconnectivity both horizontally and vertically, bringing everything into a harmonious whole. 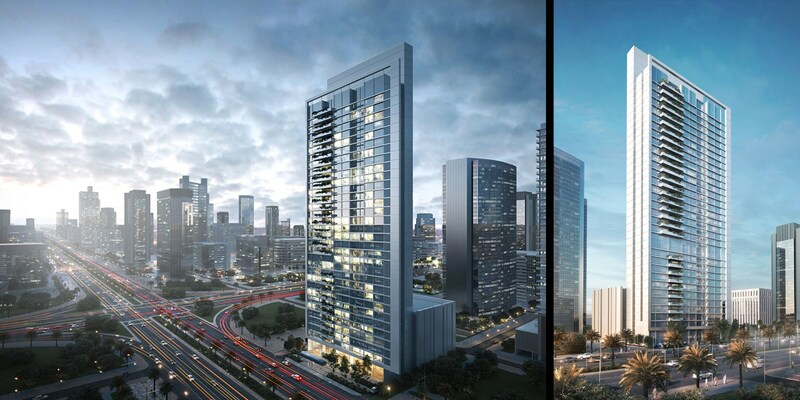 One, two and three bedroom apartments are available, with four apartments per floor spread on 33 floors. Luxury amenities, such as outdoor swimming pool and roof deck, will be located on the tower's top floors, framing views.